Accumulated Contaminants, Deposits, Abrasive Wear Metals & Debris. Leaks & Premature Transmission Failure. Reduce wear and premature component failure. Renew transmission fluid & restore lost additives. Protect against heat and stress. Help prevent oxidation and fluid breakdown. Extend O-ring seal and life. 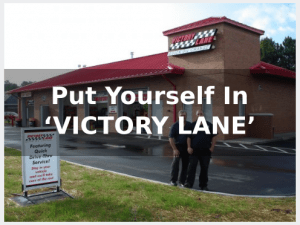 Let Victory Lane’s premium quality service help you protect your investment while extending your Transmission’s life!